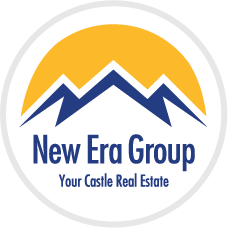 The Ballpark neighborhood lies to the north of Lower Downtown and Downtown Denver's central business district. 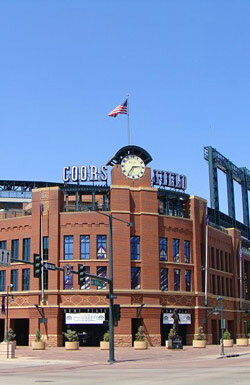 The southern end of the neighborhood (around 20th Street) is anchored by Coors Field, which opened in 1995. Ballpark also stretches almost 20 blocks to the north from 20th Street, into a section of Downtown that is still very much a functioning warehouse and light industry district. An increasing number of those warehouses are being renovated into loft projects. This part of Downtown was established early in Denver's history, growing alongside the railroad tracks that carried goods and raw materials into Denver's industrial market. Waves of immigrants — Italian, Irish, Japanese, Chinese and, more recently, Mexican — have left their own unique stamp on the area. An important commercial corridor in the Ballpark neighborhood is North Larimer Street. From 20th Street all the way to the northern edge of stretches of Downtown (37th-38th Avenue), Larimer Street offers a unique mix of buildings and tenants — pawn shops, jazz clubs, bars, antique shops, art framers, galleries, brewpubs, authentic Mexican restaurants, small ad companies and more. Most of these buildings reflect the area's predominant architecture, which is 2-3 story brick buildings and warehouses. The neighborhood is zoned for industrial use, so a good number of the buildings still have train and truck loading docks on their street frontages, as many of them are active warehouses and light industrial buildings. Not every building frontage has a sidewalk, and street trees are as not prevalent as they are in older, more traditional center city neighborhoods such as Curtis Park or Capitol Hill. In 2002, a the Ballpark Historic District was formed for much of the Ballpark area to preserve many of the historic warehouses and buildings that define the neighborhood's historical uses. A major change in the Ballpark neighborhood's landscape was the demolition of the Broadway viaduct in 2000, which carried auto traffic from Broadway, over the adjacent Central Platte Valley train tracks, and north along Brighton Boulevard to I-70 for several decades. The viaduct's bridge structure sliced through the middle of the neighborhood, but is now replaced by a four-lane underpass; two sets of train tracks cross overhead, much like the 15th Street underpass that was completed earlier this decade. This enhances the Ballpark's pedestrian environment and improves its visual and pedestrian connection to Downtown Denver. It has also spurred new opportunities along Brighton Boulevard, which is a direct link from I-70 to Downtown Denver. The Ballpark neighborhood is host of the Ballpark Market, an eclectic community flea market that happens several weekends each summer. The AT&T LoDo Music Festival also moved into the Ballpark neighborhood in 2000 after several years in the Lower Downtown area.